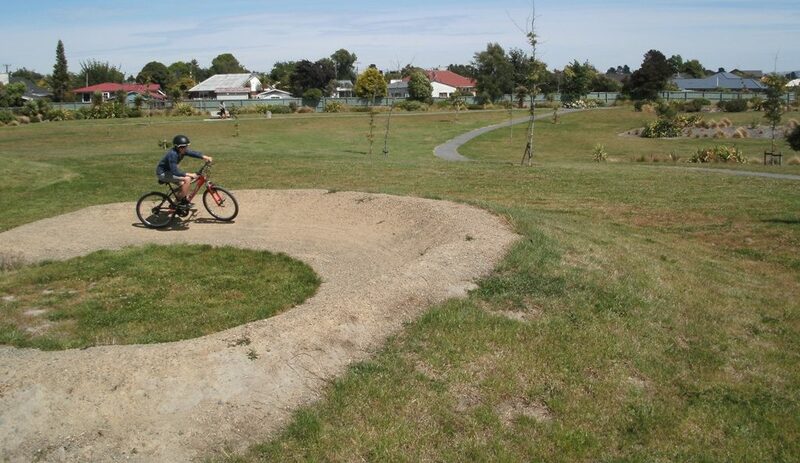 Tucked away in northwest Christchurch is a unique cycle facility that could be the model for others in the city. Kendal School, a small primary school in Burnside, has constructed a 600m cycle track around its periphery. This provides its pupils with a fantastic facility to use during the school day. And outside of school hours, anyone is welcome to come along and give it a go. 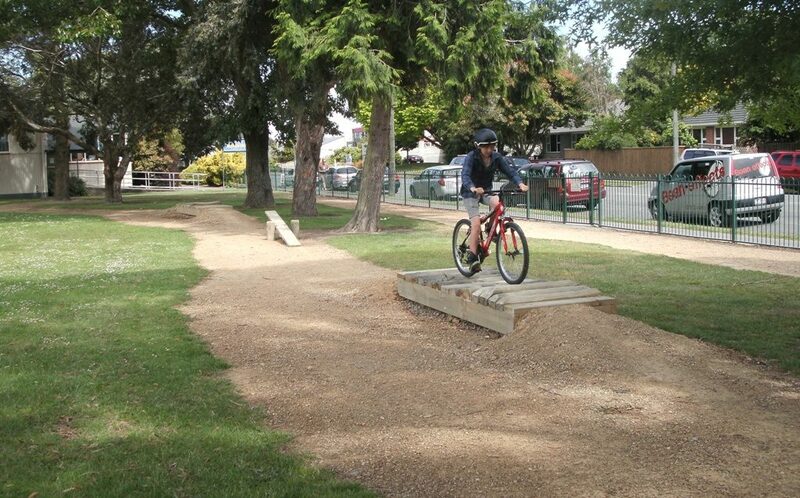 School Principal Keith Turner, a keen rider himself (and former Chair of Spokes Canterbury) was inspired by a similar cycle track created at St Mary’s School in Hastings. 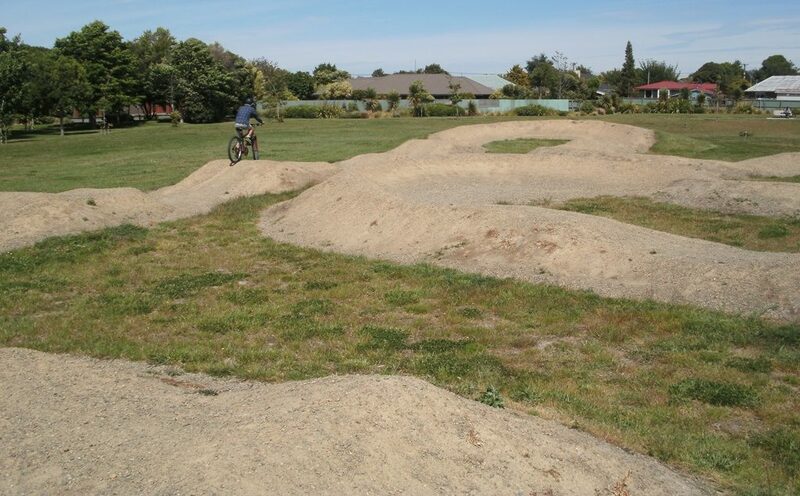 A private Trust provided the funding for the Hawkes Bay track and over 60 bikes and helmets for use by the schoolchildren. 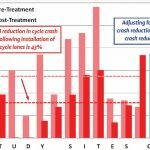 Cycling has been incorporated into both regular phys-ed sessions and also available at breaks as well. In Christchurch, Keith was able to source funding from a variety of community groups to enable a similar facility to be built, complete with a shipping container to house a fleet of 50 bikes. Just when construction was about to start, the February quake happened, holding things up a little. But the track was officially opened in March 2012. My son and I gave it a try over the weekend. It has a number of “challenge” sections along the route, although less-confident riders are always able to bypass those if they wish. 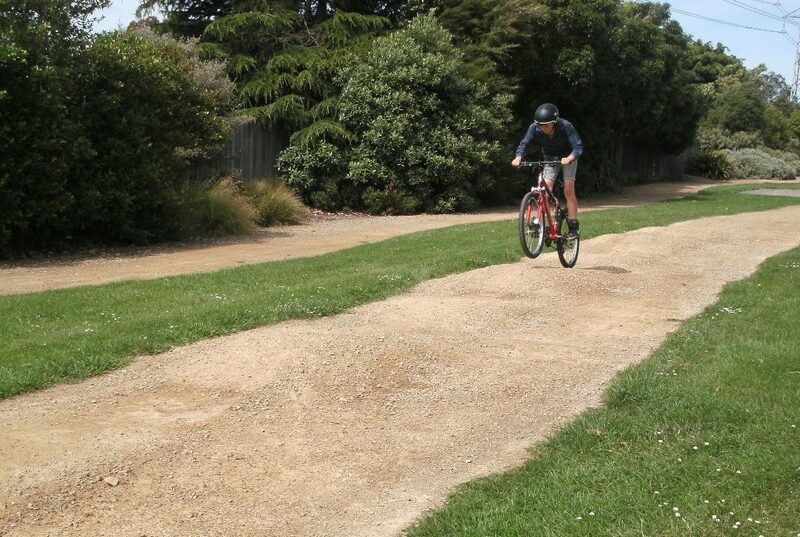 For kids of any age learning to ride, this provides a fun way to develop some skills in a safe off-road environment. I have to say the narrow see-saw is quite scary, even for a grown-up, and my son wasn’t too keen to try that out. Perhaps there needs to be an equivalent flat plank so that riders can test their straight-line ability first? Unfortunately this wonderful facility is under threat from the proposed school closures in Christchurch. Being a relatively small school, Kendal Primary is an obvious target for the Ministry of Education’s planned reforms. Even if it did close down, you would hope that the powers-that-be would see sense to retain the track for the community – it could be an extended part of the adjacent Kendal Reserve. While we were in the area, we also checked out nearby Nepal Reserve. Now I knew that there were a nice selection of pathways criss-crossing the area to ride on; what I didn’t know was that they have also now built a BMX-style riding track. Now this was definitely a hit with my son; a bit of excitement on the very up-and-down track circuit. 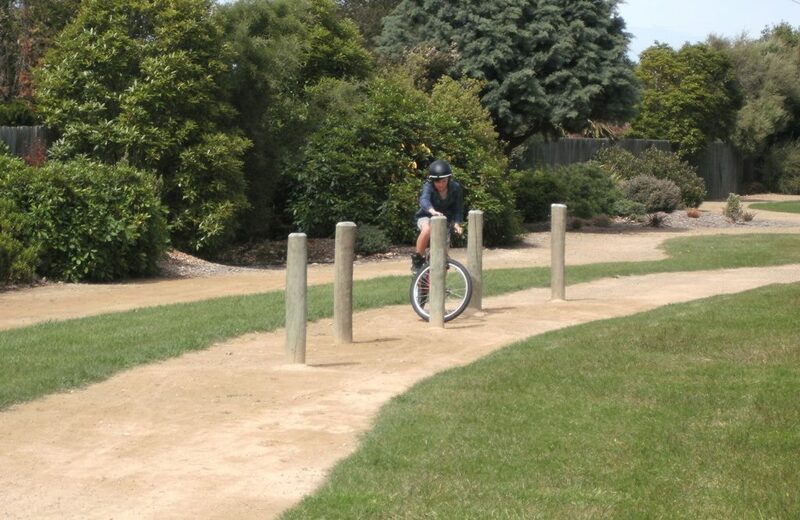 And when we were done with that, we had fun just riding around the rest of the Reserve pathways. If you have cycle-keen kids under 12 then they will probably enjoy these facilities and develop a few useful riding skills to boot. But don’t just sit back and watch – give it a go yourself! It’s easy to take in both activities at the same time; the streets between them are fairly quiet to negotiate. And, just as importantly, there’s a wee shopping centre in between to grab an ice-cream on the way home! All in all a fun day out! This track might be lost if the school is closed as part of the education proposals. Hopefully the school stays put.